William Shakespeare famously said, “Some are born great, some achieve greatness, and some have greatness thrust upon them.” Swap in “good skin” for “greatness” and you’ve got a saying that applies directly to my life. I fall squarely into the second category, having “achieved” good skin through meticulous and painstaking product research, testing, and analyzing. When people compliment me on my complexion, I beam like a kindergartner who was complimented by her teacher for remembering to hold scissors the right way (and walking, not running). This might sound vain and superficial, or maybe even the slightest bit psychotic (an image of me staring into the mirror and stroking my skin while whispering, “My precious” springs to mind), but I’m not ashamed. In fact, I’m proud. I wasn’t born with good skin, and sadly, did not have good skin thrust upon me. I worked for the skin I have now, and though it is far from perfect, it’s far less oily and acne-prone than the skin I had growing up. But I haven’t forgotten my pimply, oily days of yore. They linger on in the periphery of my brain, and the familiar flood of stress and anxiety floods over me still on occasion whenever I see the hint of a breakout forming. Thus, I wanted to share some key things I’ve done and learned that have help my skin go from supremely greasy to pleasantly dewy in the hopes that it might help anyone who has ever struggled with an oil slick of a T-zone. Yes, I have to give nature some credit—most of my acne-filled days were during my hormonally-crazy teenage years—but in general, my skincare routine is the key reason I no longer have to blot my face 10 times a day (true story). Also, keep in mind that these are tips that have worked for me. If you have a skincare routine you love that goes against every single point I bring up ahead, by all means, stick to it. But if you’ve been struggling with oily skin for a long time and are on the verge of shaking your fists at the sky, screaming, “Why me? !” you might find some helpful information ahead. Let’s get started, shall we? Keep scrolling to find out how I trained my skin to be less greasy. Flip through any of your cleansers or shampoos and you’ll most likely see ingredients like sodium lauryl sulfate or sodium laureth sulfate. They are cheap detergents and surfactants that cleanse your skin and hair and give you that nice, satisfying bubbly lather. Here’s the thing: They’re way too harsh for the skin on your face, and could actually be making your oil problem worse. “When you use something that’s too drying, it eliminates too much oil so your body goes into overdrive and it ends up producing more oil,” explains Donna Tol, a strategic account manager and esthetician at SkinMedica. One of the biggest paradigm shifts I went through in my journey to good skin was to realize that I shouldn’t necessarily be reaching for products that say they’re “for oily skin” because they’re usually filled with sulfates. 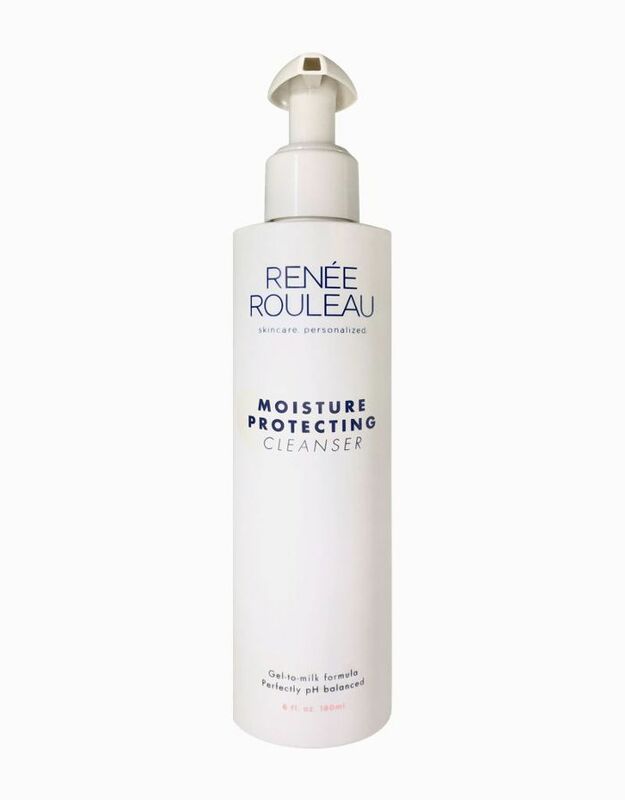 I might even go as far to say that most traditional foaming cleansers have sulfates, so it’s really about doing your research and going out of your way to find a good non-sulfate cleanser that still leaves your skin feeling clean. Some of my favorites are Renee Rouleau Moisture Protecting Cleanser ($37), Sulwhasoo Gentle Cleansing Foam ($36), and BareMinerals Oil Obsessed Total Cleansing Oil ($30) (it’s an oil cleanser but actually gets rid of all your makeup and turns into a slight lather when you add water). If you tend to wear a lot of eye makeup like I do, you’ll probably want to double-cleanse with a richer oil cleanser first. Everyone on the Byrdie team is obsessed with Eve Lom Cleanser ($50) and I’ve recently seen the light too. If you’re looking for something more affordable, I always look to Korean brands; Re:Cipe Rose Petal Cleansing Oil ($17) feels utterly luxurious and smells like real roses, while SU:M37 Miracle Rose Cleansing Stick ($28) is a top-seller on Soko Glam and is made with almost all natural oils. Tol also told me something else that pretty much blew my mind. “There’s a difference between having oil in your skin and having moisture in your skin,” she told me. “When you’re dehydrated, you’re lacking moisture and hydration. When you’re dry, you’re lacking oil. It’s two separate things.” In other words, even if your skin looks oily, you could still be dehydrated and lacking moisture. This means that even oily skin types could benefit from a light moisturizer. Look for light, hydrating ingredients in your serums and moisturizers like hyaluronic acid, which holds up to a thousand times its weight in water. 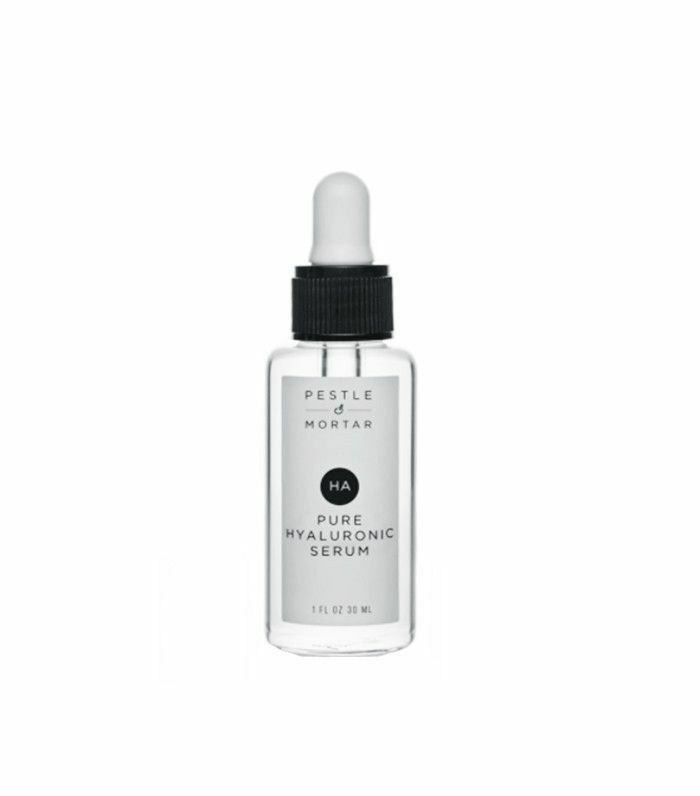 Keeping your skin healthy and hydrated will keep it happily in balance, and I’ve found that using a hyaluronic acid serum like Pestle & Mortar Pure Hyaluronic Acid Serum ($69) morning and night soothes and calms my otherwise-temperamental complexion. So, repeat after me: Moisture is your friend, not your foe. I went through a strange phase about a year ago where I kept getting a breakout in the middle of my forehead consisting of small, poppable bumps. It would rear its ugly (white) head every few weeks without warning, and I would pile on the concealer and just hope and pray it would go away. Then, I tried this miracle product from the UK called Medik8 Betagel ($68) from the founder of Ayla Beauty. 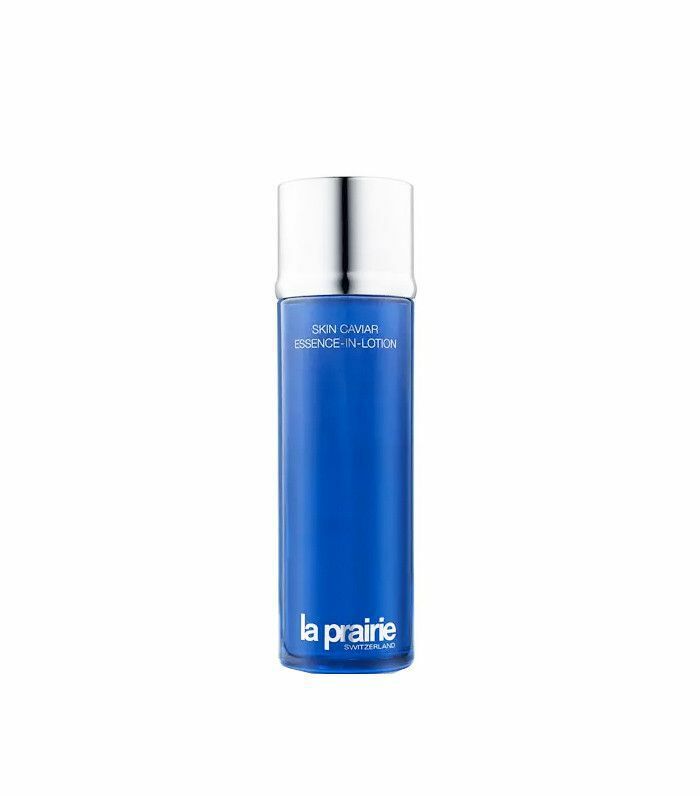 This product cleared my forehead breakout overnight, quite literally. Since then, I’ve never let it out of my sight (you can read my full experience here). Upon discovering this life-saving product, I did some more research into acne ingredients and found that though benzyl peroxide has long been used a common acne-fighting ingredient, a lot of derms actually think it’s too harsh and can even cause scarring or premature aging. I’m no acne expert, but it’s something I’ve kept in mind and it’s why I gravitate toward acne products with salicylic acid and azelaic acid instead, the latter which can actually prevent a blemish from scarring (it’s also an ingredient in many brightening products). Though there are many health benefits to cutting alcohol out of your diet, I admit I haven’t gotten there yet—I dare anyone to try and tell me an ice-cold margarita after a long week isn’t good for my soul. But I have cut alcohol out of my skincare routine, and my skin has responded by being less oily and happier in general. Alcohol—often called benzyl alcohol, SD alcohol, denatured alcohol, or isopropyl alcohol in ingredient labels—is just straight-up bad for your skin, dry or oily. It’s drying (no surprise), and it can actually weaken your skin over time if used consistently. Here’s the trap: A lot of products aimed towards oilier skin types or touted as “light” and “easily absorbed” rely on alcohol to give that quick-dry, weightless finish people obsess over. One of the biggest lessons I’ve learned as a beauty editor is to ignore all the marketing talk, and zero in on the ingredients. The ingredients don’t lie—clever marketing can. I don’t let any product that lists alcohol in the first five ingredients near my face, no matter how grand the promises are (if it’s near the end of the ingredients list and it’s from a brand I love and trust, I’ll make an exception). Instead, light moisturizers like SkinMedica Ultra Sheer Moisturizer ($58), Tatcha Pore Perfecting Water Gel Moisturizer ($68), and Huxley Anti-Gravity Cream ($43) keep my skin hydrated without drying it out in the long run. One thing to note: cetearyl, cetyl, and stearyl alcohol aren’t actually bad for you, so don’t denounce products that contain these ingredients. They’re emulsifiers classified as “fatty alcohols” that aren’t harmful and usually derived from coconut or vegetable oils. Here’s the truth: If you aren’t born with naturally perfect skin, then you’ll probably have to put in some work. In the past, I saw skincare as a chore, left to the last five minutes before bed and executed as hastily as possible. But then I started seeing real results from the products I was using, and gradually, skincare became more of a ritual and an indulgence rather than an annoying necessity. I started to look forward to my weekly mask (Charlotte Tilbury Goddess Skin Clay Mask, $70, is utterly luxurious and never dries out; Glossier Mega Greens Galaxy Pack, $22, is a great affordable alternative), and I would take time to treat myself, usually settling in the bath or cuddling up in bed with a good book as I waited for the mask to work its magic. I also treat my skin with serums that are chock-full of brightening, texture-smoothing, and oil-balancing ingredients like vitamin C, vitamin E, green tea (also called camellia sinensis leaf extract), grape extract (vitis vinifera seed extract). SkinCeuticals CE Ferulic ($163) is a beauty editor favorite; Instanatural Vitamin C Skin Clearing Serum ($21) is more affordable and Byrdie managing editor Lindsey’s go-to (and Whitney Port’s, too!). “I think people get confused,” Tol says. “When you have oily skin you want the oil gone. But the oil is there to provide a natural layer of protection on your skin, so you need to have it there.” She brings up how oil breaks down oil, so you shouldn’t shy away from an oil cleanser. I’ve recently gotten over my aversion to face oils, and now reach for Vintner’s Daughter Active Botanical Serum ($185) and May Lindstrom Blue Cocoon ($160) any time my skin feels dull or tired; Kahina Giving Beauty Argan Oil ($36) is another great option and can be used on your hair and body, too. 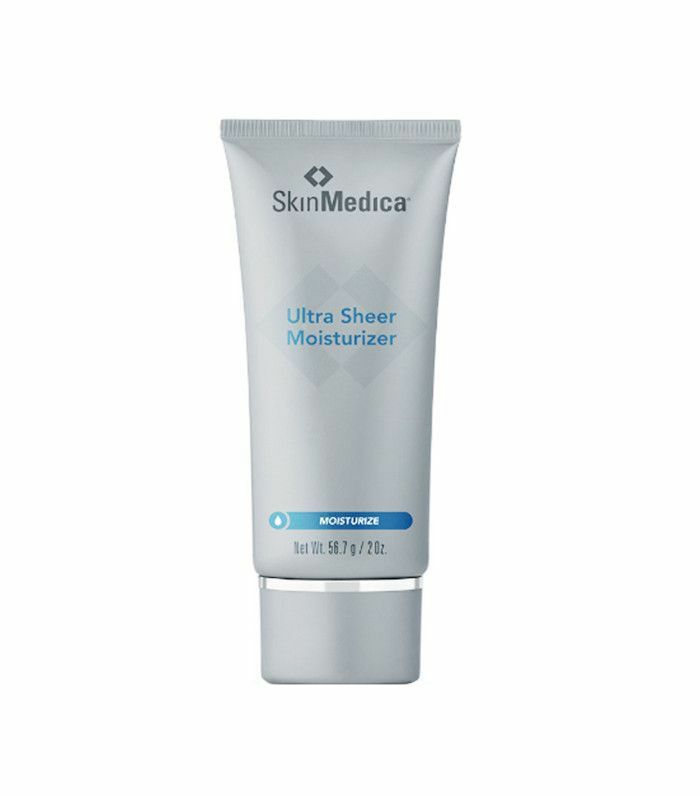 Instead of over-exfoliating, I exfoliate just once or twice a week with a more intense treatment (i.e., Dr. Dennis Gross Alpha Beta Universal Peel, $88), or I use a gentle chemical exfoliator like Ever Biomimetic Peel Pads ($70) every day to increase cell turnover and help my hydrating products penetrate better. Nowadays, I welcome moisturizing masks, essences, and other lightly hydrating skincare products with open arms—and since then, my skin has never looked look better. I can go a full day without reaching for my blotting papers, which gives me time to focus on more important things, like whether or not I should start Vanderpump Rules (all signs point to yes). 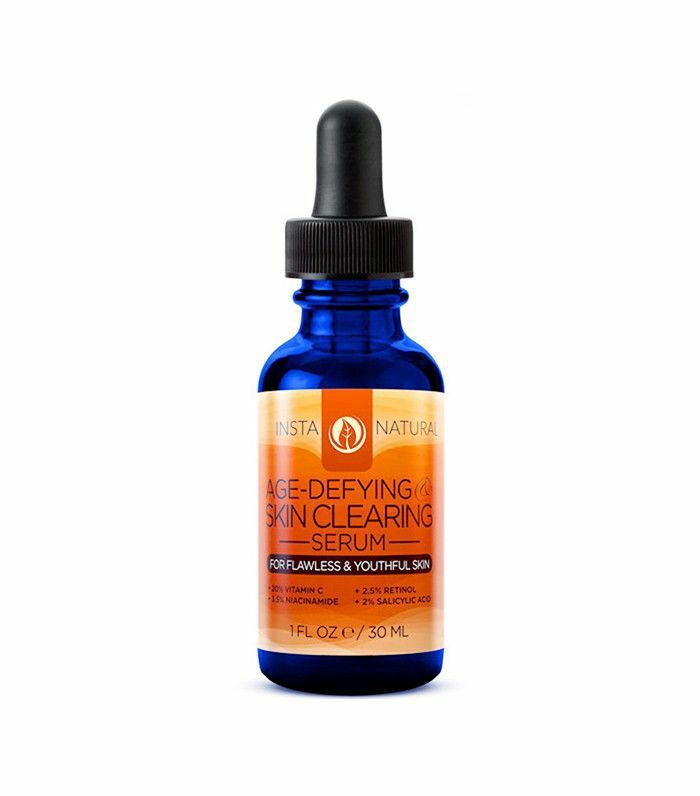 It seems to go against logic, but this paradigm shift has changed my life (and skin) for the better, and I’ll never go back to harsh cleansers, exfoliators, and drying treatments again—just try and take my hyaluronic acid serum from me, I dare you. FYI: These are the blackhead treatments dermatologists use on themselves.